As a wild bird enthusiast, Debbie Strimple had witnessed the devastation of wild birds colliding with cars, windows, power lines, being attacked by cats and dogs, ingesting poison, being abused by humans, and losing their habitat. 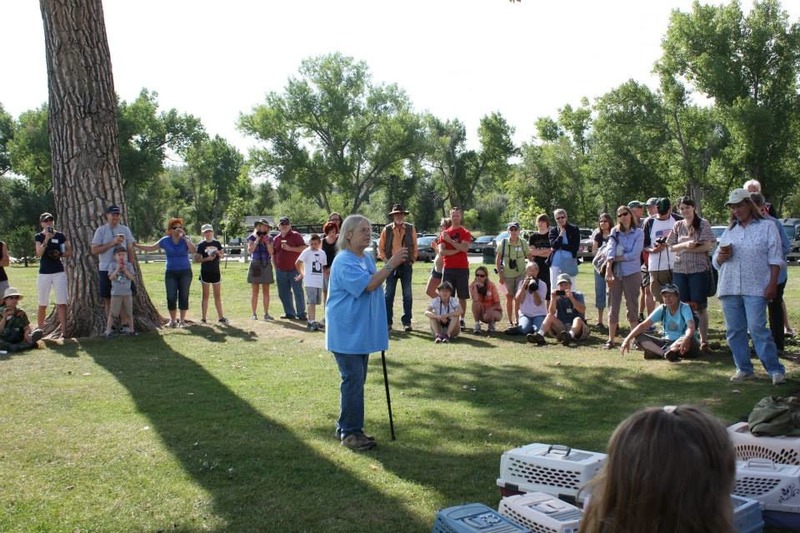 Knowing the birds needed help, she heeded the call in March of 2000 and dedicated her life to caring for the birds in need by founding the state and federally licensed non-profit organization, Wild Bird Rescue & Rehab. Since its inception, Wild Bird has taken in an average of 3,000 birds a year, and has released over 28,000 birds back into the Colorado skies. Debbie and her devoted staff and volunteers have worked tirelessly to achieve a 63% release rate - 20% above and beyond the national average. 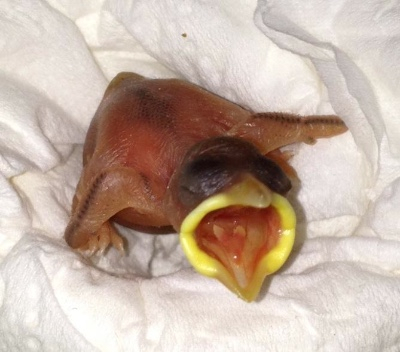 Wild Bird responds to calls, emails, and Facebook posts from people all over the U.S. asking for advice on how to care for injured or sick birds in their area. Migratory birds are imperiled all across the globe, so we are especially proud of the work we do for birds like hummingbirds, pelicans, orioles, tanagers and swallows. Every time we release a bird just in time for migration to winter in the southern U.S., Mexico, and Central or South America, our hearts are filled with an inexplicable sense of joy and accomplishment. Because we were the only facility serving Colorado and the entire Front Range that was dedicated solely to the rehabilitation of wild birds, the volume of birds brought in to the facility grew every year. 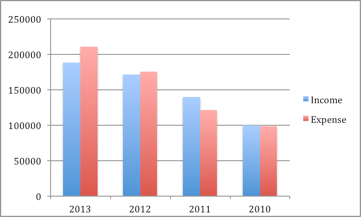 The population and development expansion in the metro Denver area has greatly impacted the vulnerability of wild birds. Wild Bird’s current location closed September 1, 2014 permanently because it was neither sustainable, nor properly zoned for the organization’s needs. Land located along a migratory bird flyway has been acquired through a generous donor, and now we must raise $150,000 for the initial phase of breaking ground on the new facility. The total that must be raised is $492,000. 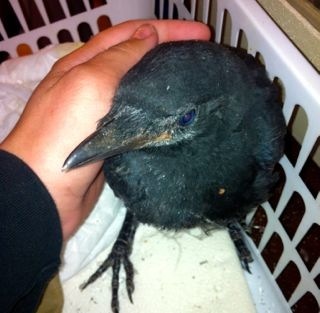 Colorado Parks and Wildlife, local Parks and Recreation departments, local law enforcement, animal control, veterinarians, and the public all relied on Wild Bird as the #1 resource for taking in sick, injured, and abandoned baby birds. Construction will be basic, but requires includes installing utilities, washable walls and floors, sinks in every room, heating, air conditioning, and proper ventilation which all add to the total cost. The new facility will include a memory garden honoring our longtime supporters who have passed, and we will have a walkway or wall where large donors will be honored and recognized. Wild Bird promotional items will be for sale in the main reception area, and a room will be dedicated to hosting educational classes for the community, the very best way to achieve conservation, and for training volunteers and staff. Debbie teaching before a bird release. We need to raise 70% ($345,000 after fundraising expenses) so we can obtain a loan for the remainder. Please seize this moment and make a donation today! This new building will be a vast improvement from the current rental location. Not only will there be basic essentials like proper ventilation for the staff and birds, there will be proper equipment and room for comfortable growth. A permanent home will allow Wild Bird to once and for all put down permanent roots and strengthen its relationship and role in the community. With a new building, it will be easier to attract and retain dedicated volunteers to support the organization in multiple ways.  In the last 14 years Wild Bird has established a strong group of financial supporters and with sustainability in mind, a major focus has been diligent work to keep the budget trim and costs down. 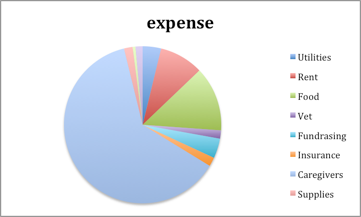 *2013 expense exceeded due to new location's capital funding. They say it takes a village, but we need a nation! We are working hard on reaching out to the public for support on many levels. Since the current location closed September 1, 2014, the birds have no where to go. Our hope is that supporters will join us in focusing on raising funds and building the new location so we can open as son as possible. The longer we stay closed, the more birds will suffer and die, the longer it will take us to rebuild our support network, and staff. Every year we have faced a hurdle or two and every year we have found a way to meet it for the last 14 years. Please help us meet and beat this hurdle! What can you do to help? We need a miracle here! Spread the word about this to your friends, coworkers, and family. Use Facebook, Twitter, Instagram, etc. Contact your local media, local businesses and companies, veterinarians, and government officials. Please help us get the word out about our campaign. Birds are not only lovely to observe and listen to; they also play an imperative role in the health of our ecosystem. Birds feast on insects (some of which can be harmful, like mosquitos) they pollinate plants, and are also a great barometer for environmental health. Their migration and mating patterns indicate the seasons better than any calendar. They are in tune with the earth’s rhythms because their survival depends upon it. Flocks of Cedar Waxwings fly in with the spring and Bullock’s Orioles leave with the onset of winter. 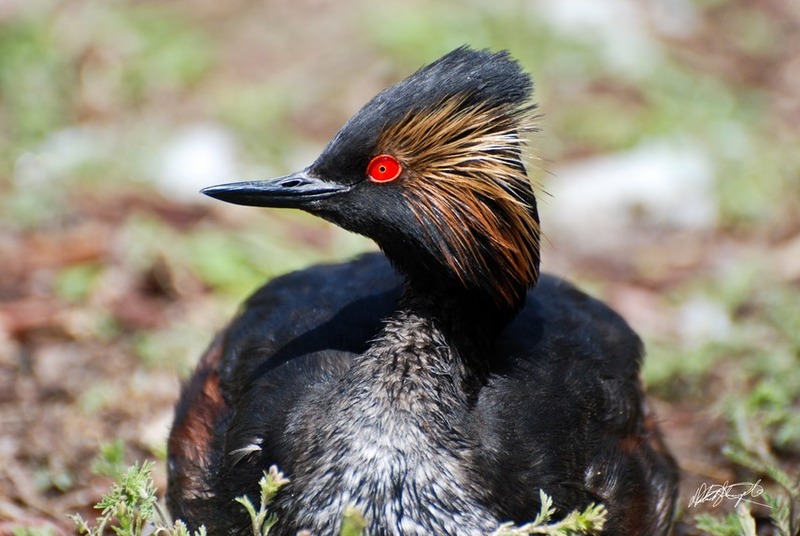 Lead rehabilitato, Debbie Strimple has made breakthroughs in dietary research for avian wildlife. Many species (finches, sparrows, robins, nuthatches, wrens, swallows, etc.) can now be raised from hatchling to adulthood, thriving on the species-specific diets Debbie has designed. Debbie comprehensively researches the food sources and behaviors of species and what they fed their young. Through this research, she found that a protein-rich diet is essential to birds like robins and grackles, and consequently a larger percentage of robins and grackles are released every year. 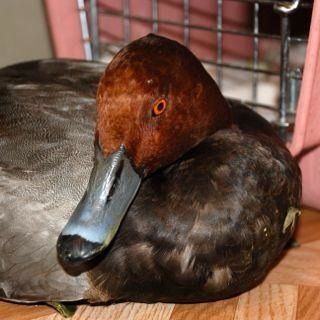 Wild Bird boasts a 90%+ success rate of rehabilitating waterfowl afflicted with Botulism. In fact, the Denver Zoo and Denver Animal Control brought botulism cases to the Wild Bird facility for treatment. Debbie discovered that allowing the afflicted waterfowl to swim in an Epsom Salt bath instead of the commonly used charcoal treatment resulted in much higher survival rates. 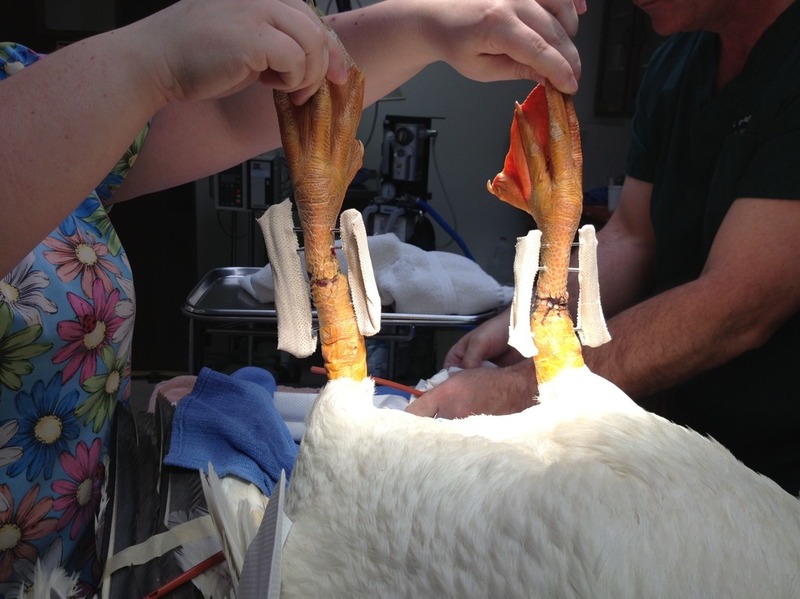 Great strides have also been made in treating birds with the West Nile virus by using a blend of homeopathic remedies, medicine, and intensive care. 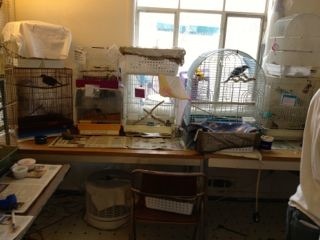 Because of this breakthrough in treatment, Denver Animal Control brings suspected West Nile birds to the facility. 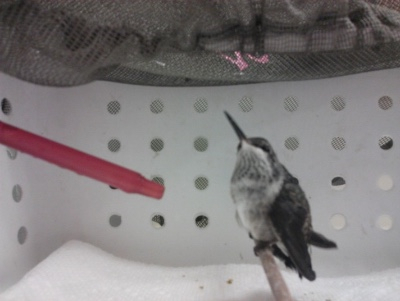 Our rehabilitators are skilled at treating birds that are typically difficult to rehabilitate such as hummingbirds and pelicans. “Three Pete," a pelican with both legs fractured, was successfully rehabilitated and released after two complicated surgeries were performed by an avian specialist and much rehab time spent with our team. On average, Wild Bird rehabilitated 3 pelicans a year. Debbie Strimple has successfully raised and released more than 10 baby hummingbirds which is an enormously daunting, but rewarding task. Wild Bird will soon have two more Licensed Wildlife Rehabilitators in addition to Debbie Strimple; Morgan Sandoval and Nabilla Zahir. Morgan is also a certified veterinary technician while Nabilla is a pre-veterinary medicine student. They have studied under Debbie Strimple for a total of 7 years. To maintain, equip, and staff a dedicated facility, centrally located in the Front Range region of Colorado, to provide intensive and comprehensive rehabilitation and care to sick, injured, or abandoned birds, with a secondary mission to educate the public on the importance of wild bird welfare and conservation. Help us to Help them SOAR! Thanks for taking the time to visit our web site. We hope it is informative, fun and educational for you. We also hope that you will stop back to see us often as we continue to grow and take to the air.